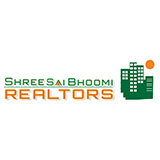 Shree sai bhoomi realtors is a third generation real estate associate, With family experience since year 1970 in the real estate industry. Our concern has developed more than 5 lakh square feet of built-Up area in the past decade. Our firm have a good expertise in the fields of real estate. We execute diverse construction projects ranging from high rise towers to residential, Commercial complexes and infrastructure solutions. We work in diverse cultures and have projects in the suburbs ofmumbai & thane. The strict quality & safety dictum followed in all our departments ensures compliance with all the necessary quality benchmarks and safety regulations. We also adopt eco-Friendly construction practices to suit specific enviroment concerns. The strict compliance to global safety and quality standards maintained in our projects in just the end result of our relentless commitments towards perfection.